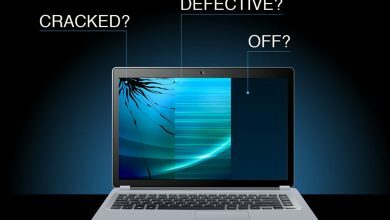 I am going to discuss in detail, how you can easily fix the broken key of a laptop. There can be many different methods for this, I am going to discuss only those which are practically possible and I have personally tested at What Laptops main office. If I have a broken key at my laptop, this is enough to distract me from my tasks. Absolutely not acceptable for me and also for the majority of the laptop users. 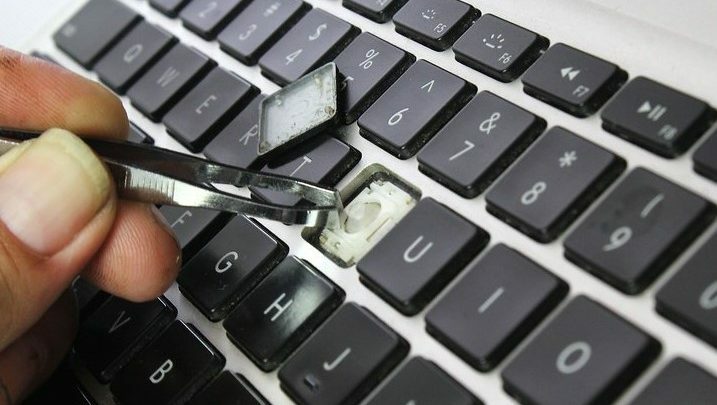 1 How to Fix a Broken Key On Your Laptop? 1.1 How to access different parts of your laptop’s key? First let me tell you what I mean by the work key: all different buttons that are on the laptop for different functions are referred to as Key. Just like all words on the keyboard are keys, similarly, different signs on the keyboard of a laptop are also keys. Also, check that the Caps lock is turned off along with the num lock. 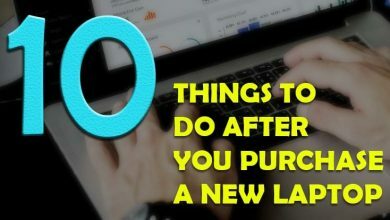 These can affect the overall performance of different keys, so checking these before starting the procedure is a better option. How to access different parts of your laptop’s key? Now before I go into the details, you should be familiar with methods to access the key. For this, you should know the basic concept behind the laptop’s key design. KeyCap: Now this is the external most part of the kay which is usually visible and which is normally pressed to perform a specific function. 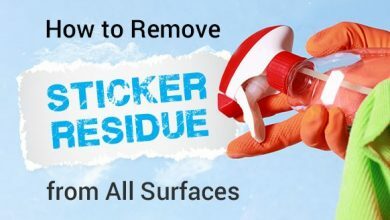 This is commonly removed when cleaning the keyboard. Key Carriage: As I have already said that the external most part of the key is a key cap. If you remove the key cap, you can see the key carriage. If you ask me, the key carriage is simply a platform for the keycap. It holds the key cap fix to its position. KeyPad: This is the most inner part of any laptop’s key. If you also remove the key carriage, the keypad will be exposed and you can appreciate it with the naked eye. This is the main support for both other parts of the key. You can say keypad is the main part that is maintaining the key of any laptop. Shout-Out: Remember here we are talking about the laptop’s key and keyboard. If you compare it the desktop keyboard things are the same with a few differences. A desktop keyboard comes with a key that is made of two key carriages instead of three as in the laptop’s keyboard key. Here I will explain the whole procedure in detail. I have divided this step by step guide in different steps. Remember we are going to fix the key at home, so all these things or tools are normally available in the home. This is going to be an amazing journey of fixing laptops key. Now that you know what things are required for this procedure, let us proceed to the second step. So you got all the required stuff, and should we proceed further? Wait, you are still not ready, ensure to turn off the laptop before you start this procedure. 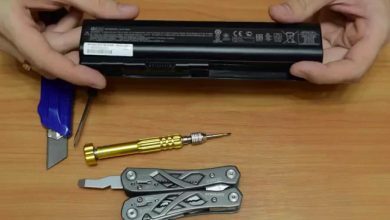 I recommend that you should also remove the laptop battery but I know a few fellows will find this hard. Anyways, it is up to you, if you can easily remove the battery, go ahead, remove it. If you have been using the laptop before this procedure, wait for a few minutes, let it cool down. 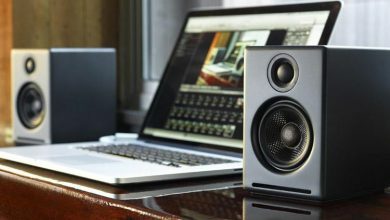 You will need to find a straight platform where you can work on your laptop. I recommend using the wooden table for this. The table shoud be properly balanced and well maintained You need bruises on your laptop once you are done with the procedure. A flat four-legged wooden table is a perfect choice for me. I have one at my office and one at home, working is so easy when I am at study corner with my laptop. Let us now start the procedure. Access the broken key carefully, normally there is dust or grime surrounding the key carriage as the keycap is already removed. Remember to be easy with the keyboard, this is a decent machine which requires careful cleaning. I recommend using the cotton bud for removing any sticky dust. Once you are done with this, use a hairdryer to blow away from any remaining dust or particles. Remember to give a couple of hot air shots and you will be done. Do not focus for more then 15 seconds in one place, it may cause damage if used aggressively. Laptops are a sensitive machine and as they say, handle with care 🙂 Yes I am talking about the laptop, not about any girls. Fetish? Clear the keys edges with a sharp toothpick, use slowly and carefully. You may find a few dust articles or sticky material filled in the corners. Do not do any more damage, if you think there is no more dust, simply stop there. If your key is still fixed, you use a sharp knife to remove the external most of the key, as they say, a key cap. If you are using the kitchen knife should be used with caution, target it to a 45-degree angle and simply push the key outwards. At this stage, give a careful examination of the key carriages and keypad, check the damaged part. Normally there is no damage and just some grime or dust is struck between the key carriage and the keycap. Observe if you can find any particles that are in between the keycap and the key carriage. Fix this and you are good to go. If there is still some issue with the key, it is time to dif further deep. Remove the key internal parts and clean them. When removing, go slow and once cleaned with a soft tissue, fix them back, in the same manner as you removed them. That’s it, you have done it. You have successfully fixed the broken key of your laptop. Boom. Check the keyboard and check the function of that specific key. If everything is fine, there is nothing more to do.